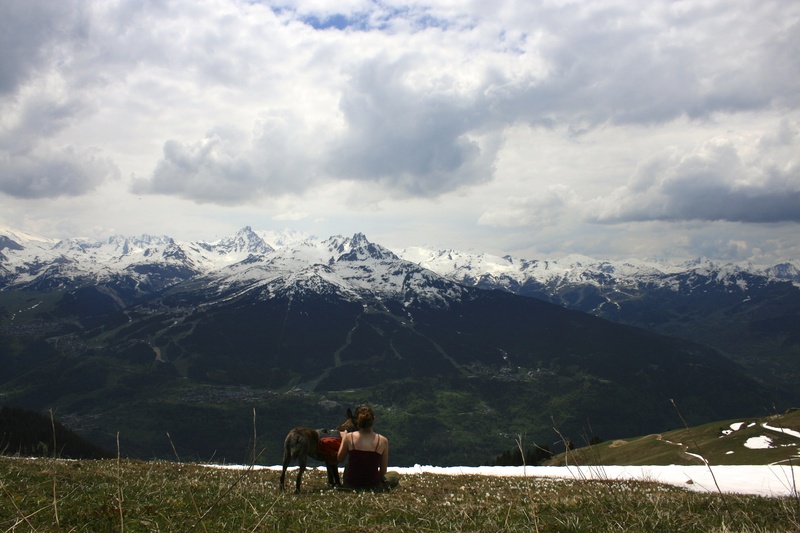 Traveling in France with you dog is accessible and fun. Most cafes, stores, banks, and post offices allow dogs. Assume if there is no sign saying no dogs allowed, you and your furry friend can walk in. But it is always polite to ask first. Most cafes and restaurants will even serve your dog water before you. The French, as a whole, love dogs. If a business does not allow pets, such as grocery stores and delis, there normally are hooks to tie your dog outside the store. I personally have not traveled by bus or Metro in France. But I have in Italy, so be sure to check my post on the topic. Metros usually accept small dogs. I have seen individuals bring their large dog aboard with no issue. Most public transportation require your dog to be in a travel carrier or muzzled. It is the respectful thing to do, and those around you will be thankful you did. Show this small courtesy, and you will likely be greeted with smiles and winks. This is the way to travel France and also Europe with a pet. TGV charges half the price of your ticket for your pet. You can buy your ticket online but not your dogs. Go to the station ticket counter and ask for a ticket for your furry friend. Your dog is required to be muzzled at all times. I’ve found this rule is rarely enforced. Your pet is also supposed to have a pet passport. In my one year of train travel not once was it checked. Although my dog’s passport was never checked, this is a requirement and a good thing to get for your pet upon arrival in Europe. Go to the vet and bring your international health certificate and rabies certificate with you. The process is painless and the passport is valid for the lifetime of your pet. In addition, the vet can give you paperwork to register you pet for that country. You may have noticed I have mentioned muzzles several times. This is a very common requirement for pets allowed on public transportation. There are a lot of choices available, but I have found a simple mesh muzzle works best. They are cheap and can be purchased for under $10. You can slip it in your pant or coat pocket and easily slip it on and off your pet. Typically I put the muzzle on my dog when entering or leaving and take it off during the journey. Also, this kind of muzzle does not give your dog as intimidating of an appearance. This is important to me because I own a very striking Dutch Shepherd. A big metal cage muzzle makes her look like a killer. Cautionary note: A tight mesh muzzle restricts panting. This is dangerous for a dog during high temperatures. Always put your dog’s health first.